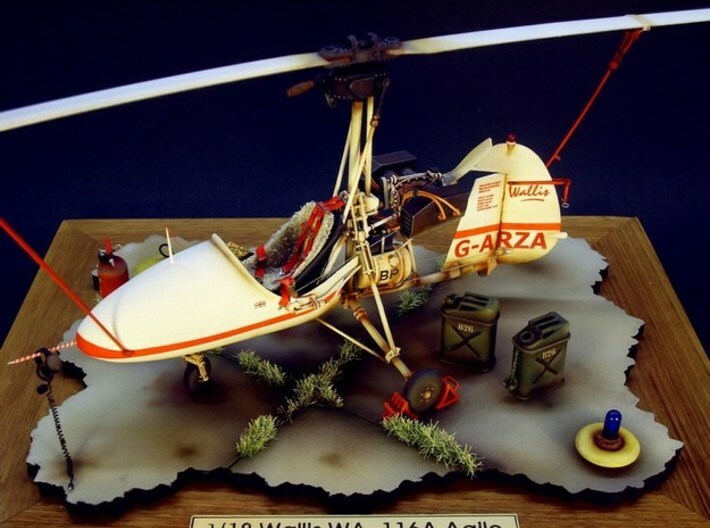 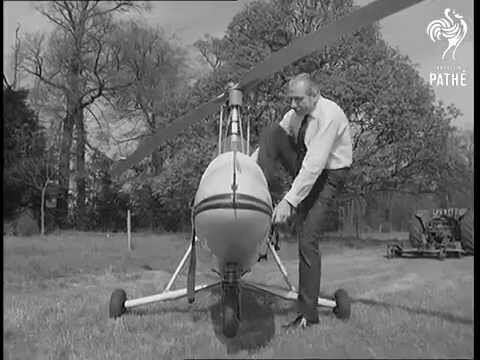 Wallis WA-116 is a British autogyro developed in the early 1960s by former RAF Wing Commander Ken Wallis. 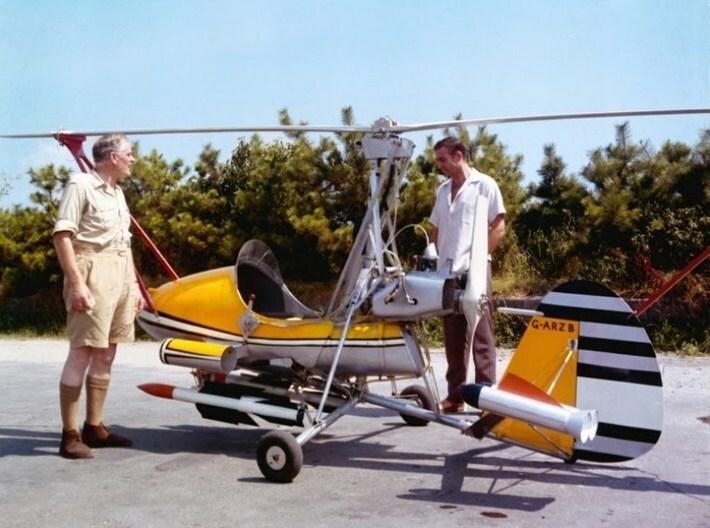 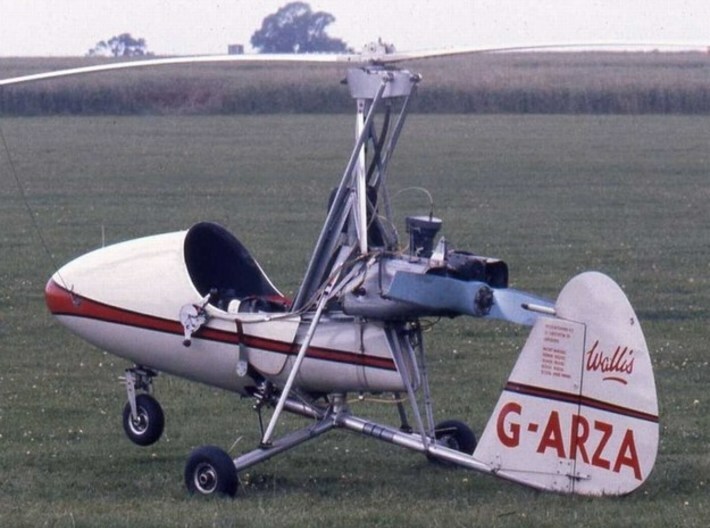 The aircraft was produced in a number of variants, one of which, nicknamed "Little Nellie", was flown in the 1967 James Bond 007 film "You Only Live Twice". 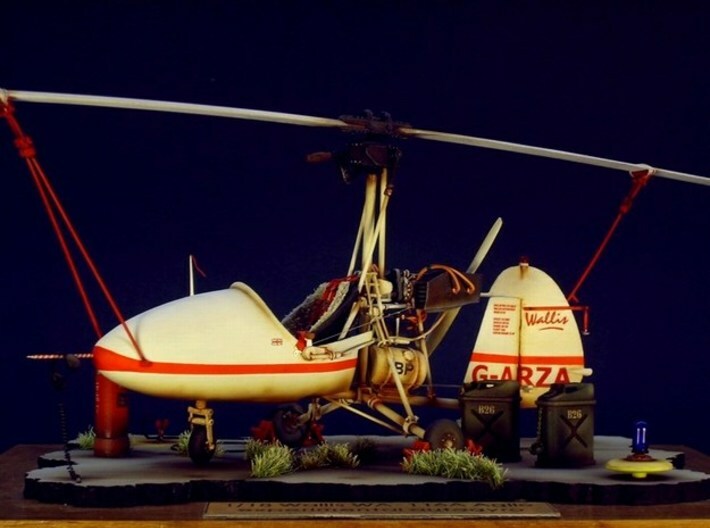 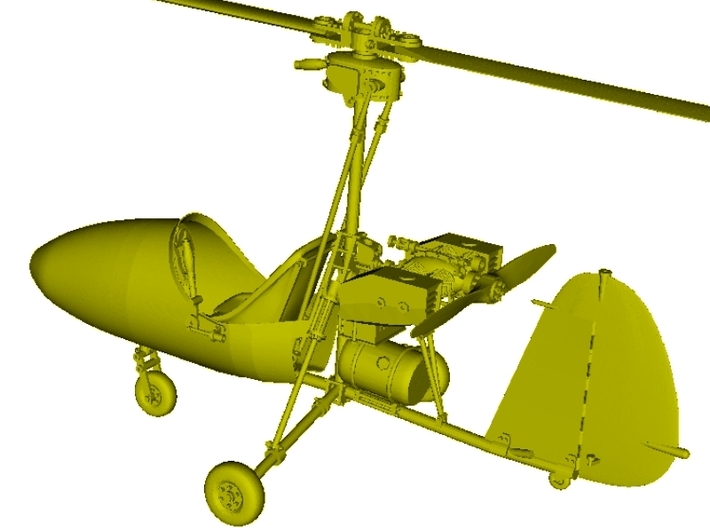 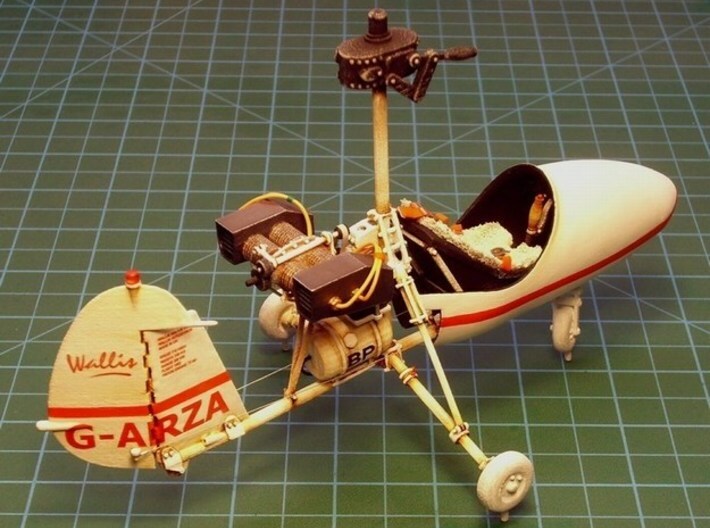 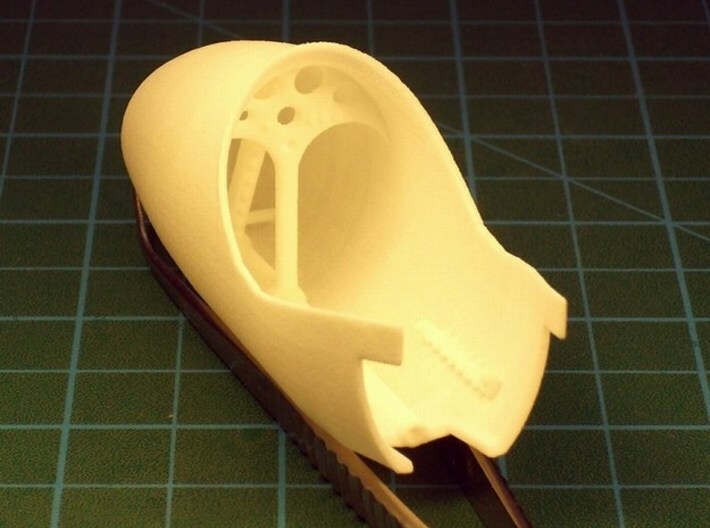 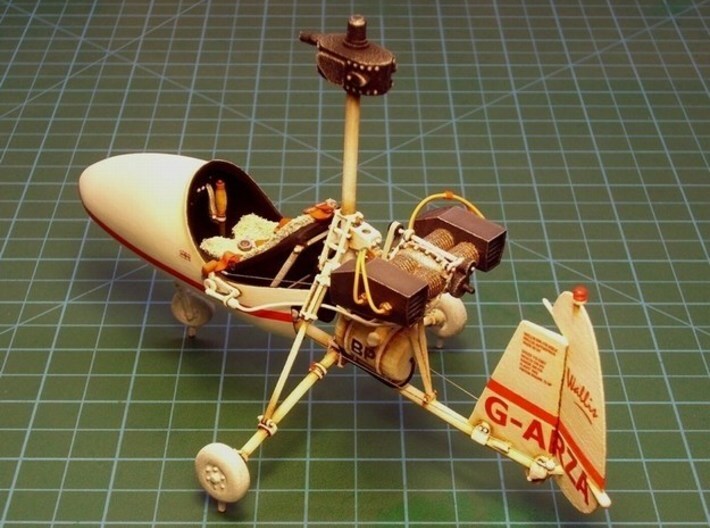 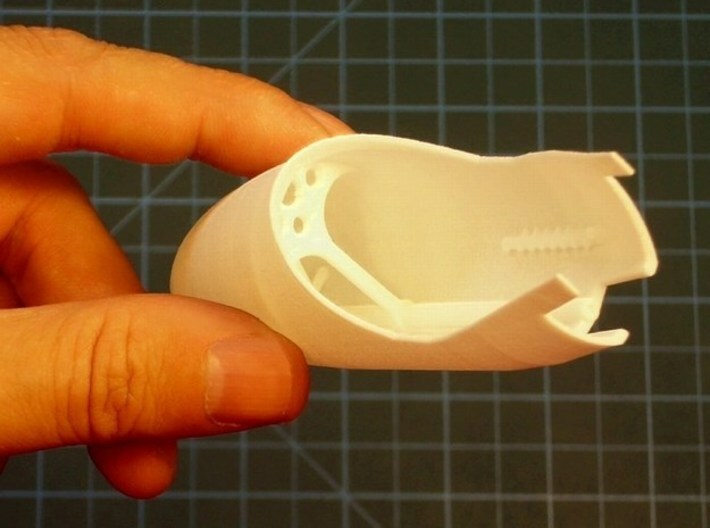 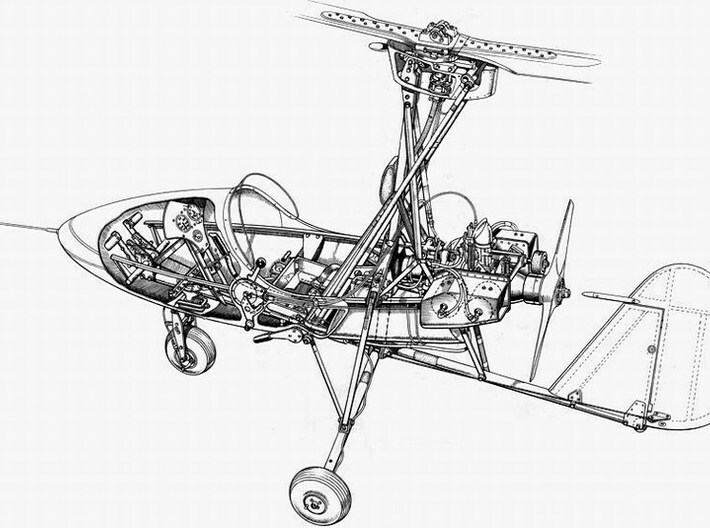 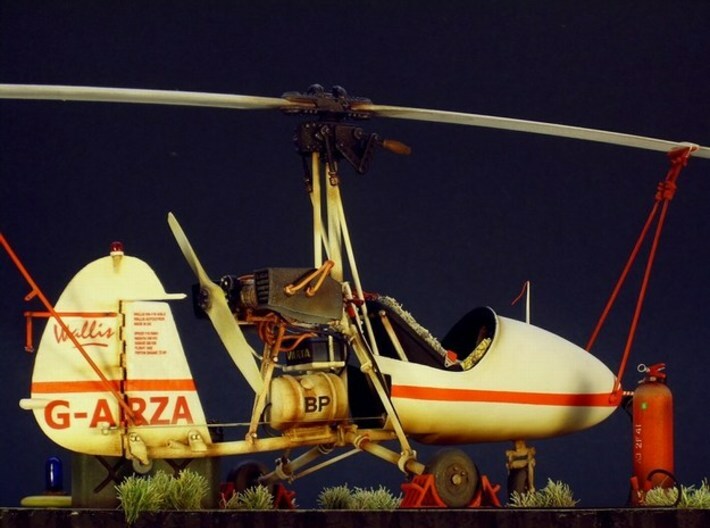 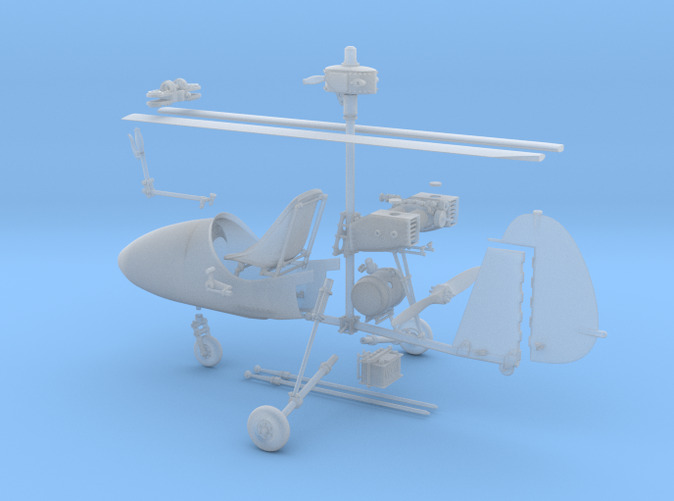 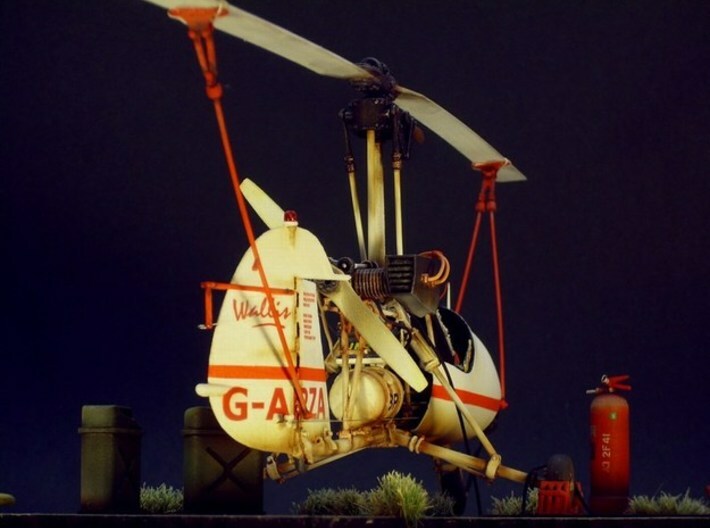 This kit contains all necessary parts for assembling ONE autogyro model under 1/18 scale. 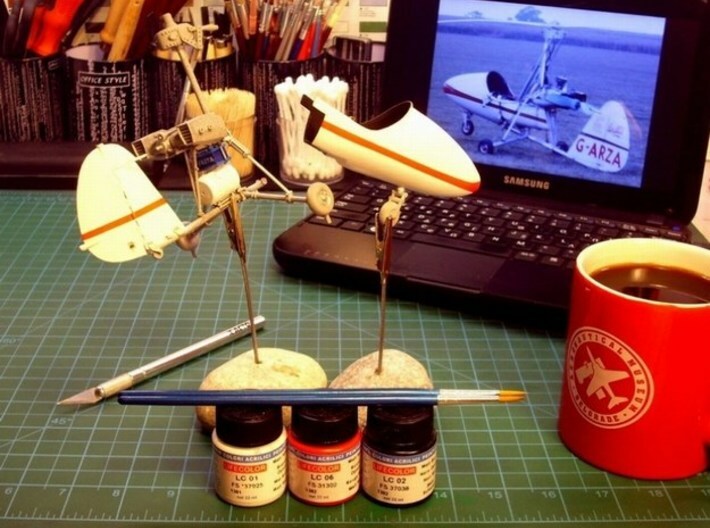 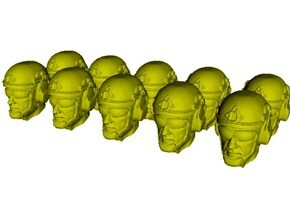 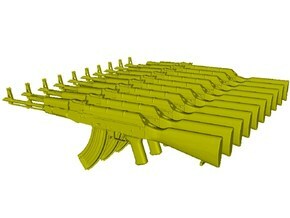 Any extra diorama accessories visible on some pictures (eg. 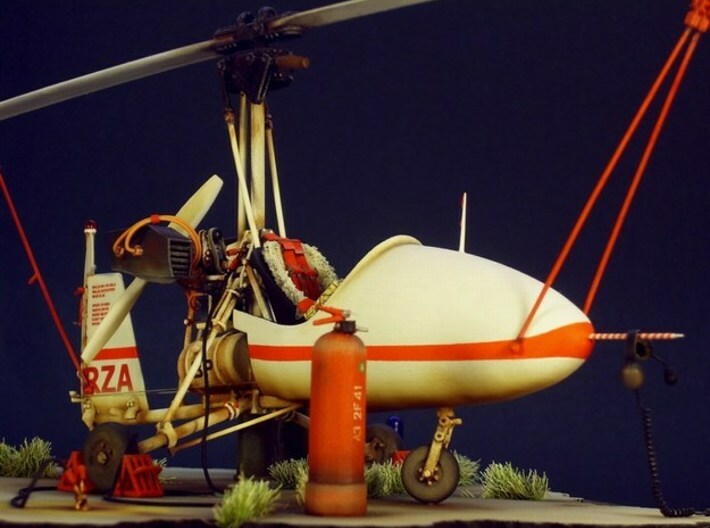 oil barrel, fire extinguisher, jerrycans, wheel chokes etc) are not included and should be purchased separately. 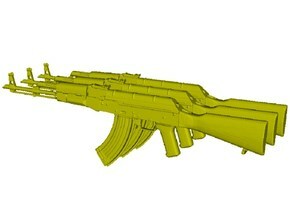 Watch the building process HERE.